No, that headline up above isn’t a bit of sensationalist claptrap. 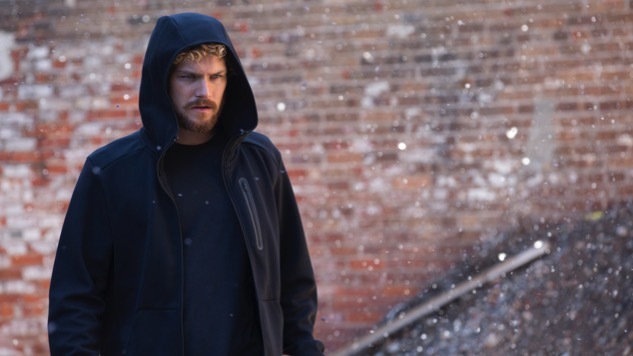 Netflix’s new Marvel superhero series Iron Fist isn’t exactly crushing it right now and lead actor Finn Jones (Danny Rand in the show) suggests that the tepid response might be due to Trump fatigue. In a chat with Radio Times, Jones said, “I’m playing a white American billionaire superhero, at a time when the white American billionaire archetype is public enemy number one, especially in the U.S.” And in Jones’ mind, not only is that archetype played out for people, but also Trump’s success makes it harder to root for anyone who comes from white privilege. Of course, as Gizmodo and others have pointed out, Batman and Iron Man films have done just fine in the past, and both of those franchises feature billionaire playboys who probably eat with golden utensils—not to mention that Arrow hasn’t been much criticized for starring a rich white dude, either. So Jones’ rationale doesn’t quite hold up. You can read Paste’s own mixed review of Iron Fist here and watch the still-underwhelming trailer for the show, due out March 17, below.